Railpictures.ca - Jason Noe Photo: The engineer of VIA Rail train 79 looks on as passengers and baggage unloads at Brantford, Ontario on a pleasant July evening. | Railpictures.ca – Canadian Railway Photography – photographie ferroviaire Canadienne. 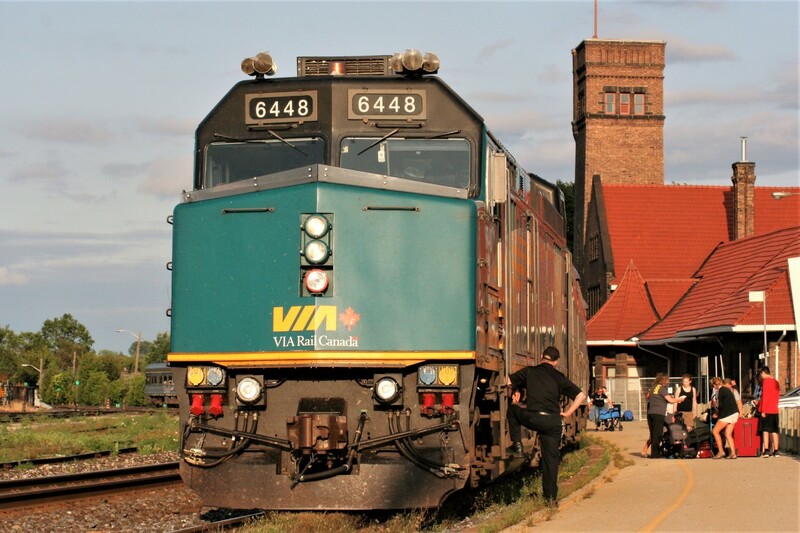 Caption: The engineer of VIA Rail train 79 looks on as passengers and baggage unloads at Brantford, Ontario on a pleasant July evening.